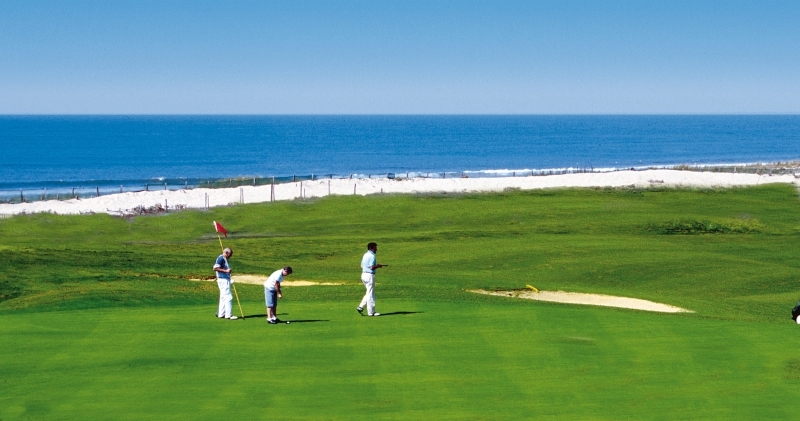 Luxury apartments on the Moliets golf course and near the beaches of the Atlantic coast. In Moliets you can walk on foot on the pleasant promenade along the sea, visit different boutiques, restaurants and cafes. In the surrounding area are beautiful, white sandy beaches, vast forests with biking and hiking trails and many activities for all ages. The wonderful holiday residence located at about 700m from the beach, shops and activities offers magnificent views over the golf course. 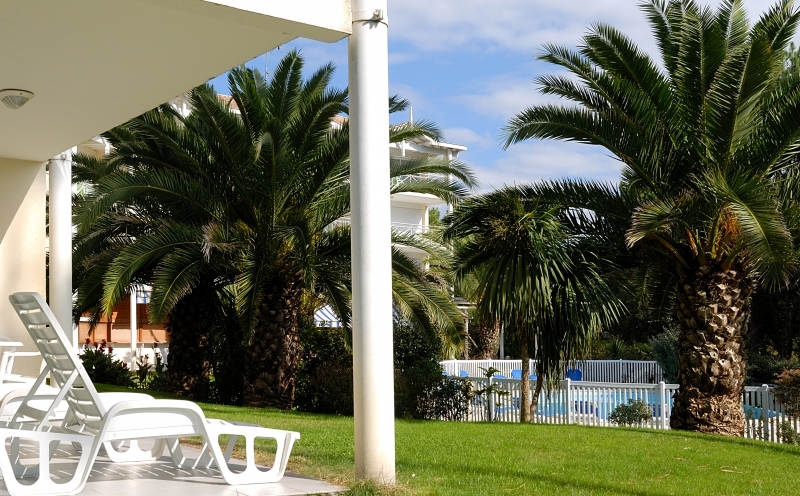 Facilities available on the spot: outdoor swimming pool (in high season and according to weather conditions), free wifi access at the reception, outdoor parking and laundry. This apartment of 50-70m² can accommodate 8 people and includes a living room with TV and a sofa bed, as well as a dining area equipped with refrigerator, dishwasher, oven and microwave. The apartment has 1 double bedroom, 1 bedroom-cabin with a bunk bed, a mezzanine with 2 single beds or 1 double bed, 1 bathroom, 1 toilet and 1 balcony (possibility for a second shower room and WC ). Moliets is located in the southern part of the Landes department, at about 60 kilometers from Biarittz. Characteristic of this region are the vast pine forests, white sandy beaches and the mild climate. The ocean attracts surfers, swimmers and sun lovers. There are also special beach volleyball fields on which you can play for free. In addition to the numerous sporting activities you can enjoy music, theater and other cultural events in the summer. The culinary specialties of the region are available in the restaurants in the villages. The wines of the region can not be skip. Explore a beautiful region with much to do and discover. If you have certain preferences regarding location, interior, etc, please indicate when booking. The surcharge for special requests is 60 euro. If preferences are indicated without accompanying payment, there is no guarantee that your wishes will be honored. You are requested to tidy up the accommodation prior to departure, placing the furniture in its original position. If your accommodation is found untidy after departure, the cleaning costs will be withheld from the deposit. You are prohibited to flush down the toilet or throw into the sink any object or substance that can clog up the drainage of the toilet, kitchen or bathroom. Any expenses made for the repair of the drainage system in case of obstruction by such objects or substances will be charged to the tenant. All garden furniture is to be placed indoors whenever you are absent from the accommodation. Loss of a door key incurs a charge of 15 - 50 euro. You are expected to respect the house rules. If you have any complaints about your accommodation, please report them immediately to the reception desk. If your complaint is not dealt with on the spot, you are requested to inform Tour Operator in writing no later than 7 days after your return. Tour Operator will send your complaint to the responsible authority that will handle it further.